Huh? Excuse me? Are you listening? Be Known for Something : Discover Your Church Communication Thread / Business Essentials / Huh? Excuse me? Are you listening? This week I dealt with a company that made me angry. Have you ever had an interaction that once you hang up the phone you’re shaking because of the way you were treated? I always try to take a step back and think about why I’m so upset. Resolution was not an option. It seemed like I was the only one looking for resolution. They just wanted to end the call. Argh! I came up with various options to help them. They didn’t want to listen to them. They just kept saying, they didn’t think they could do what I was asking for (although they’ve done it in the past). I was trying to find resolution. They weren’t. Even as I say these things, I can feel my blood boiling again. And it really all comes down to the fatal error on their part. They didn’t listen to their customer. 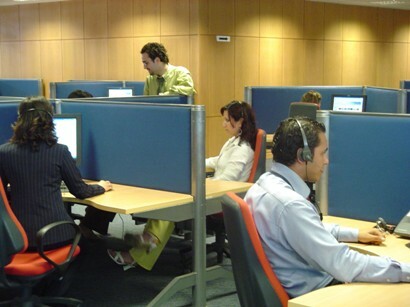 The right employees handling the calls. When our customers call, they talk to someone who cares about them. Or they won’t work here for long. I’m proud of our client service people. Try them! No Surprise Policy. If a client is surprised by something that concerns them, makes them angry, we simply change it (unless it’s been clearly stated or talked about). Or we don’t charge for it. We resolve the issue the best we can (with the customer always being reasonably right). We listen. Sometimes a customer just wants us to hear what the process was like from their vantage point. We listen, and we make changes as needed. We hate when ANY customer leaves. So, what do you do? If your clients are the foundation of your success, you have to keep them happy!